The cat (or domestic cat, house cat) is a small carnivorous mammal and a subspecies of the wild cat. The trinomial name of the domestic cat is Felis silvestris catus. The cat is a skilled predator and intelligent animal, known to hunt over 1,000 species for food, and capable of being trained (and learning by itself) to obey simple commands and manipulate simple mechanisms (see cat intelligence). It has lived in close association with humans for 3,500 to 8,000 years, figuring prominently in the mythology and legends of several cultures. Cats come in dozens of breeds and a variety of colors. Due to mutations, some are hairless and some are tailless. They use more than one hundred vocalizations and types of body language for communication, including calling ("meow" or "miaou"), purring, hissing, growling, chirping, clicking, and grunting.Like horses and other domesticated animals, cats can become feral, living effectively in the wild. Feral cats will often form small feral cat colonies (However, animal welfare organizations point out that it is a myth that abandoned cats easily adopt a feral life. They note that few abandoned cats are able to survive long enough to become feral, most being killed by vehicles, starvation, predators, exposure, or disease before they can adapt). Legends and myths about the cat exist in many cultures, from the ancient Egyptians and Chinese to the Vikings. They have been both revered and vilified by different cultures. The cat's closest pre-domesticated ancestor is believed to be the African wild cat, Felis silvestris lybica. The dog is a mammal in the order Carnivora. Dogs were domesticated from wolves as recently as 15,000 years ago, or perhaps as early as 100,000 years ago based upon recent genetic fossil and DNA evidence . New evidence suggests that dogs were first domesticated in East Asia, possibly China , and the first peoples to enter North America took dogs with them from Asia. Genetic research has identified 14 ancient dog breeds, with the oldest being the Chow Chow, Shar Pei, Akita Inu, Shiba Inu and Basenji. Because many of the 14 breeds are associated with China and Japan, the theory that the dog originated in Asia seems to be likely.Over time, the dog has developed into hundreds of breeds with a great degree of variation. For example, heights at the withers range from just a few inches (such as the Chihuahua) to roughly three feet (such as the Irish Wolfhound), and colors range from white to black, with reds, grays (usually called blue), and browns occurring in a tremendous variation of patterns. Dogs, like humans, are highly social animals and this similarity in their overall behavioral pattern accounts for their trainability, playfulness, and ability to fit into human households and social situations. This similarity has earned dogs a unique position in the realm of interspecies relationships. The loyalty and devotion that dogs demonstrate as part of their natural instincts as pack animals closely mimics the human idea of love and friendship, leading many dog owners to view their pets as full-fledged family members. Conversely, dogs seem to view their human companions as members of their pack, and make few, if any, distinctions between their owners and fellow dogs. Dogs fill a variety of roles in human society and are often trained as working dogs. For dogs that do not have traditional jobs, a wide range of dog sports provide the opportunity to exhibit their natural skills. In many countries, the most common and perhaps most important role of dogs is as companions. Dogs have lived with and worked with humans in so many roles that their loyalty has earned them the unique sobriquet "man's best friend"Conversely, some cultures consider dogs to be unclean. In some cultures, certain types of dogs are used as food. I don think so ppl!!!!!!!!!!! Man sagam az nejade German Shepherd. lool sepideh no i dno what u mean! Mahsa88.... There is a history, and a past experience behind the mentioned concept ..
Saga kasifan, bouye bad midan hatta agar hamoum konan, har mishan gaz migiran,ghaza ziad mikhoran,zoud mariz mishan va zoud ham beh sageh hamsayeh tajavoz mikonan va dir misheh tarbiateshoun kard !. 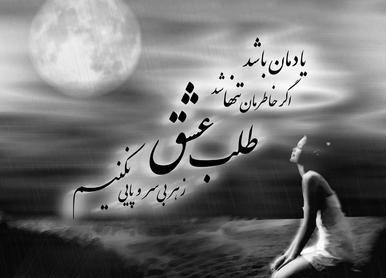 Yadetoun nareh keh ma Parsian, az tabar-e parsi zabanan, tarikh-e moun ba Gorbeh ha jur hast,nah ba sagha :=) . wow, you guys are really making this into something really serious. its nice that you all have opinions and you are sticking to them, but dont dont upset yourselves over other people's opinions. I still say i like dogs ( i like golden retrievers, or something that stays small like a pomeranian). cats are cute too, its just i havent had as much exposure to them. im openminded though kiddos. nah agha jan.. cats behtaran, saga kasifan va zoud vel mishan touyeh khiabuna, donbaleh sag hayeh female mikonan !!! Cat Power ! to va tars?! aslan behet nemiyad saeed! sag kochooloo baghat movafegham kheili khoobe. ye sag barat bekharam emtehan mikoni sag dashtan ro? it cant be all that bad.